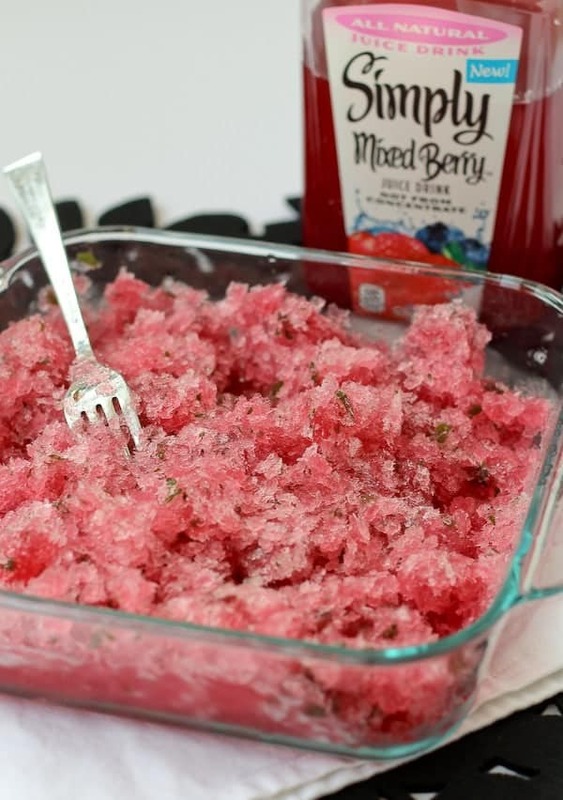 Berry Mint Granita with Rum – 3 ingredients! 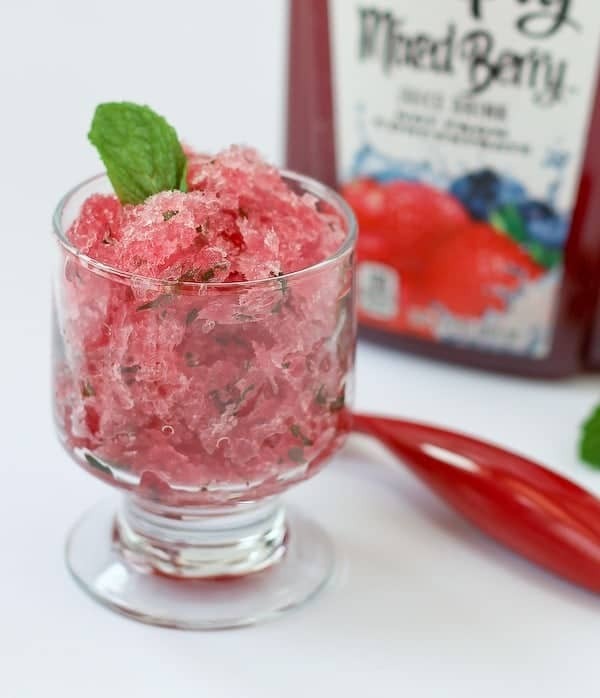 This Berry Mint Granita with Rum is a refreshing and flavorful treat — perfect for those summer barbecues, but you’ll want to make it all year round! Here in Michigan, we’ve finally been enjoying some warmer weather. Warmer meaning it’s been in the 35-50 degree range but yesterday it got up to the mid-sixties! This is our first full year in our new house and I am ridiculously excited for the onset of spring and summer after what seems like a never-ending winter. We have a large deck, a grill that has been in hibernation for months now, and stocked fridges in our basement bar. We have kid’s toys waiting to be pulled out of the shed and we have a patio table that’s been in hiding under a tarp. I cannot wait to get everything back out and enjoy some warmer weather! Between friends, family, and my husband’s co-workers, I am sure we will be doing lots of entertaining this summer. One of the things that always comes along with entertaining is food. I tend to keep things simple most of the time. 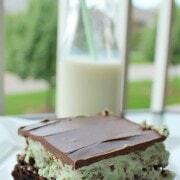 Burgers on the grill, a few salads, and a fun dessert. This dessert is the perfect summer dessert. It’s insanely refreshing and it’s ridiculously easy to prepare. 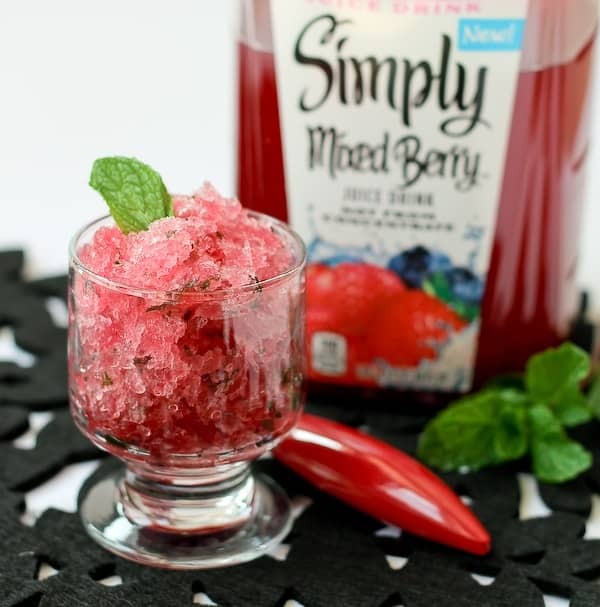 When Simply Juice Drinks™ asked me to develop a recipe using one their newly launched flavors, I almost immediately thought of granita. 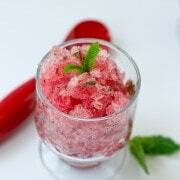 The refreshing and flavorful juice drink is the perfect base for a granita. 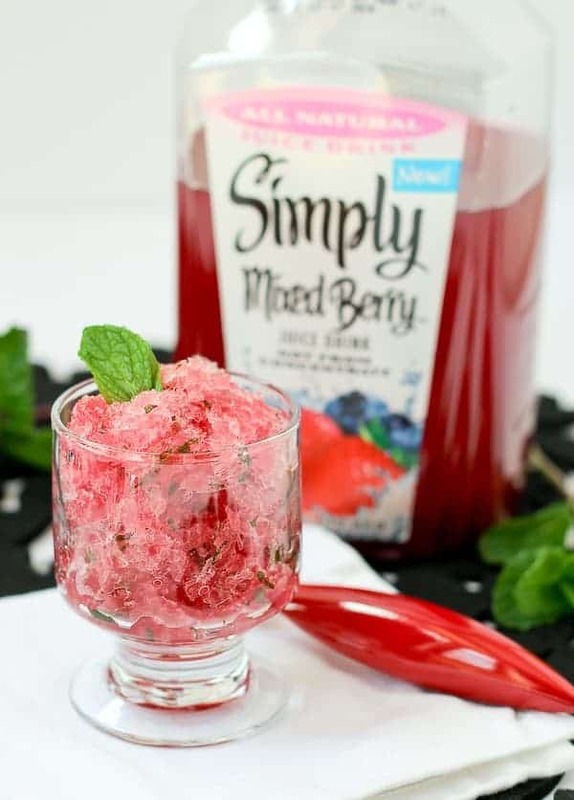 I chose to use Simply Mixed Berry™ Juice Drink for this granita with rum, but in my recipe notes you’ll see some combinations I would suggest for the other flavors, Simply Fruit Punch™ Juice Drink and Simply Tropical™ Juice Drink. The real fruit juice in Simply Juice Drinks takes out the extra step of having to cook and puree fruit to make a granita. 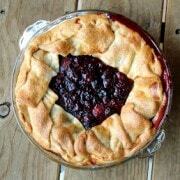 You don’t need to be slaving away in the kitchen on a hot summer day! You can feel good about serving this to guests because the juice drinks are all natural, made with simple ingredients, and contain no artificial flavors, colors or added preservatives. All you need to add to the Mixed Berry Juice Drink is a little rum and a little fresh mint. This is definitely (definitely) not the place for mint extract or any other type of mint-substitute. You need the real stuff here. 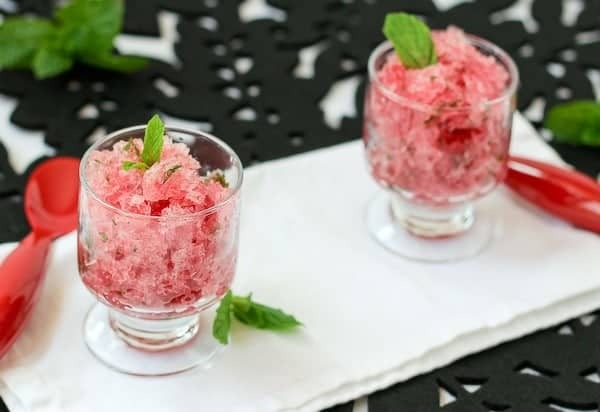 The rum not only adds great flavor, along with the mint, that will remind you of a mojito, but it also keeps the granita at a really nice, soft consistency. If you’ve never made a granita before, it’s super simple. Find a flat baking dish that fits in your freezer. I used a 9×9-inch pan but a 9×13-inch would also work and would actually result in you enjoying this granita even sooner. If you have limited freezer space, a loaf pan will also work, but make sure to give yourself additional time for it to freeze as it will be in a thicker layer. Mix the three ingredients together — you can do this right in the dish that you’re freezing it in. And then stick it in the freezer! Every 30 minutes, you’ll pull it out of the freezer and scrape it with a fork, stirring the frozen edges down into the middle of the baking dish. You’ll keep doing this until it’s completely frozen in pretty little flakes that melt in your mouth releasing the fantastic, refreshing flavors of berry, mint, and rum. Set the timer on your phone each time and tackle the rest of your party prep while dessert makes itself! Stick it in the freezer and go make a salad. Pull it out of the freezer, scrape and stir, stick it back in the freezer, go cut some flowers from your garden and arrange them on the table. Pull it out of the freezer, scrape and stick back in freezer, and go jump in the shower. Pull it out of the freezer/scrape/put back in freezer, and go do your hair and makeup and get dressed. Pour yourself a glass of Mixed Berry Juice Drink, rum and mint to give yourself a sneak peek of what you’ll be enjoying later. Okay, time to scrape again. After you stick it back in the freezer, it might already be time to welcome your guests and put the steaks on the grill! Get the idea? So easy, yet so sophisticated. Too many easy desserts end up looking and tasting easy if you catch my drift. This one is classy, so beautiful, and it won’t leave you and your guests feeling like you can’t slip into your bikini and jump in the pool. Okay I don’t have a bikini body OR a pool but it’s a pretty picture I painted, right? Mix all ingredients together in an 8×8-inch or a 9×9-inch pan. Place in freezer and freeze for 3 and a half to 4 hours, scraping with a fork every 30 minutes and stirring the icy edges into the middle. Scoop into bowls to serve and garnish with extra mint leaves. May be covered and kept frozen for 1-2 days. Simply Juice Drinks can be found next to other Simply Beverages in the refrigerated section of your local grocer. All three great-tasting flavors are available in a 59-fl. oz. multi-serve bottle, with Fruit Punch and Tropical also offered in a convenient, grab-and-go, 11.5-fl. oz. single-serve bottle – perfect for throwing in your cooler on the way to the beach. Learn more and get further Simply Juice Drink themed inspirations by liking the Simply Orange® Juice Facebook page! Disclosure: This granita with rum post is sponsored by Simply Beverages™, but all opinions expressed are my own and are unbiased and based on my personal views. Prize packs were provided by Simply Beverages, but Simply Beverages is not an administrator or connected in any other way with this giveaway. All opinions are AS ALWAYS my own. Thanks for supporting my blog by reading about brands and products I use and love. Yes I need this granita in my life!! I love the bright color! These look so incredibly refreshing, Rachel! 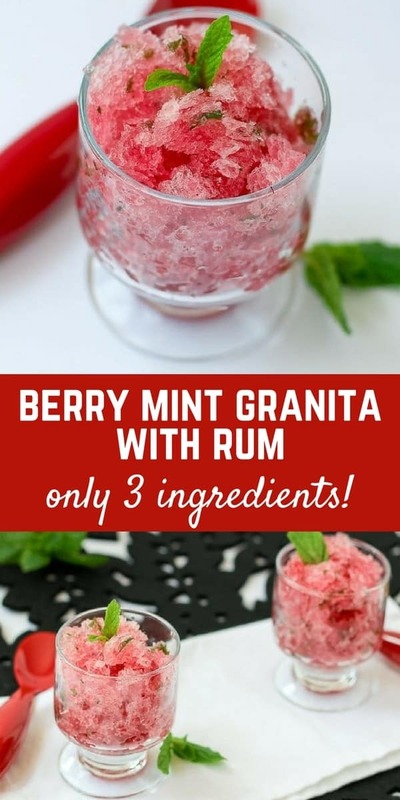 I sure do love granita, and this mixed berry version with mint just sounds heavenly. Pinning! This is so fun!!! Never would have thought of using these juices to make granita. Briiliant! Oh, this sounds wonderful! We drink that brand of juice a lot, and it is SO good. Love your twist on making the berry version into a granita – what a clever idea! Will DEFINITELY be trying this this summertime! I’ve never tried a granita before, but this looks so easy! Looks so good and refreshing! Perfect for the hot weather we are having here in Florida! Where did you get those lovely glasses? Love them! I can’t remember — I think maybe on Zulily.com. I love how easy and refreshing these look! I’m thinking granitas needs to happen a lot this summer on our back deck!!! totally loving this granita, they are so light and refreshing and this one is almost like a berry mojito! YUM! I’ll be on the next flight! I love granita! And this looks so fantastic. YES RUM. First off, I love meeting folks from Michigan so that I can hold up my right hand and ask where they’re from. :o) I’m originally from “the wrist” (Toledo), so I feel ya’ about Michigan Spring. Second, I love this recipe! We live in Texas now, so anything to help beat the heat (which is fast-approaching–ugh!) is a winner in my book. This little beauty fits the bill perfectly! Thanks for the inspiration! We have started to have warm days and this looks amazing for summer! I will be giving this a try! 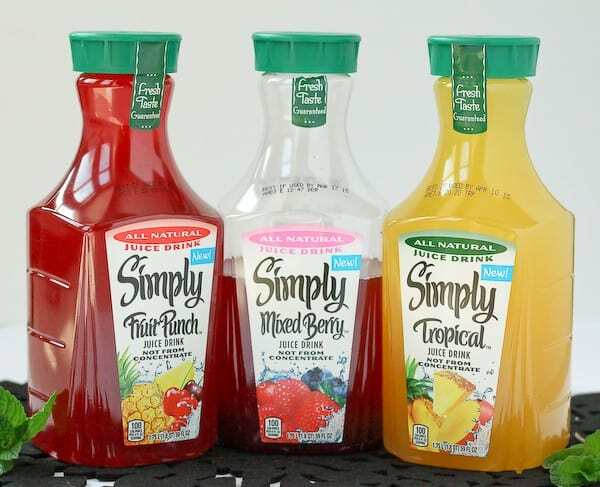 We are huge fans of the Simply Juice Drinks. 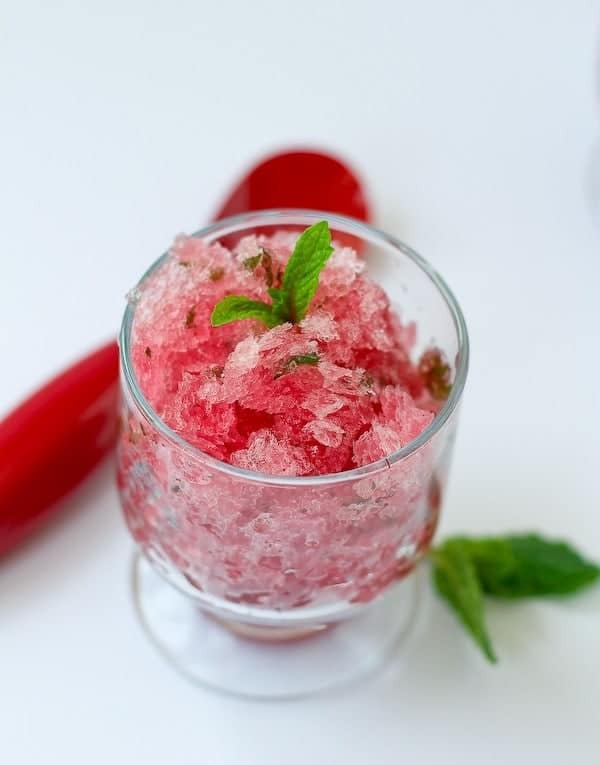 I love how you’ve jazzed up a simple granita with mint and (of course) the vodka! Looks delicious! This looks AWESOME! 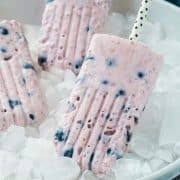 I am always looking for a fun dessert for the summer bbq’s and this one would be so fun. I love that it is so easy, too! I just had my siblings-in-law over on the weekend and was wondering what kind of beverage to serve. Next time I am totally making this – love the idea of a granita and how easy it is! pinned! I love the idea of this and think it would be so refreshing after a big meal. Yum!